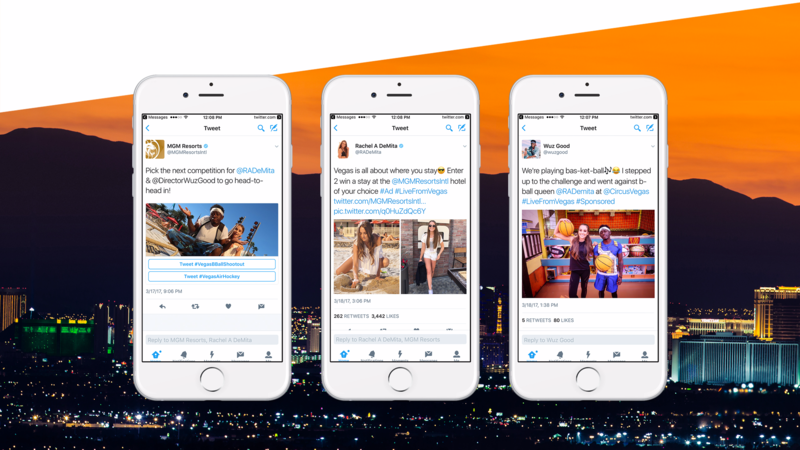 MGM Resorts used Twitter's ad products to engage audiences in an influencer-driven competition. Operating some of the most iconic resorts on the Las Vegas Strip, MGM Resorts International provides a world of entertainment, dining, and gaming to millions of visitors every month. The key challenge? Becoming a part of the March Madness conversation in Vegas while showcasing MGM properties and venues during one of the most heavily advertised sports seasons. MGM Resorts wanted to capitalize on the organic conversation around Las Vegas during NCAA March Madness and stand out from the drink specials and sports book messages abundant during this season. MGM Resorts was looking for a social media partner who could not only boast of established partnerships with all major platforms, but also think strategically. 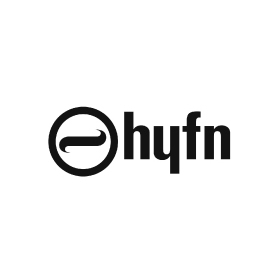 Partnering with HYFN, they set out to launch an activation program that utilized Twitter’s unique ads offerings. As Las Vegas geared up for the NCAA March Madness tournament, MGM Resorts and Niche brought Wesley Armstrong and Rachel DeMita, two well-known creators, on board to engage in head-to-head online competitions inspired by the competitive environment of opening weekend. Leveraging Twitter’s Conversational Ads, Promoted Trends, and Niche, HYFN successfully drove awareness of MGM Resorts as a major March Madness destination while showcasing the entertainment value of a wide range of MGM Resort properties. The experience was amplified as Niche’s influencers were shown engaging in a variety of activities around the resort. Using #LiveFromVegas and a custom emoji, HYFN turned influencer content into engaging Promoted Tweets and Promoted Trends. Conversational Ads also allowed fans to choose which aspects of these influencer competitions to follow. The overall performance of MGM Resorts’ March Madness campaign beat their Q4 travel benchmarks by a huge margin. Following March Madness, HYFN and MGM Resorts continue to work together to push first-to-market social activations, positioning their properties as premier entertainment destinations around the world.